Shireen L. Dodson is the Ombudsman for the United States Department of State (DOS). Ms. Dodson not only assists Department managers and employees to resolve conflict arising in the workplace, she advices the Secretary of State and senior Department executives and managers on workplace conflict trends, conflict prevention opportunities and options to achieve cost-effective and timely conflict resolution. 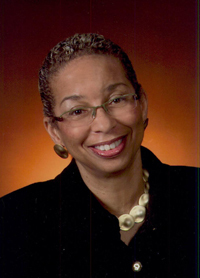 Formerly Special Assistant to the Director, Office of Civil Rights and Chief Diversity Officer at DOS, Ms Dodson has over 30 years experience working with non-profits, corporate America, government, and is also a trained mediator. She earned her Bachelor of Science Degree from Morgan State University, Baltimore, Maryland and her Juris Doctorate from Seton Hall Law School, Newark, New Jersey. Ms. Dodson is also a Cornell University’s School of Industrial and Labor Relations Certified Diversity Professional (CCDP). Ms. Dodson is an active member of the Coalition of Federal Ombudsman and serves on the boards of Executive Women in Government and the International Multicultural Institute. Ms. Dodson is the Author of The Mother-Daughter Book Club How Ten Busy Mothers and Daughters Came Together To Talk, Laugh and Learn Through Their Love of Reading (April 1997, March 2001 Tenth Anniversary Addition, Harper Collins) and 100 Books for Girls to Grow On (September 1998, Harper Collins). 100 Books For Girls To Grow On was nominated for a 1998 NAACP IMAGE AWARD – Outstanding Literary Work, Children’s.